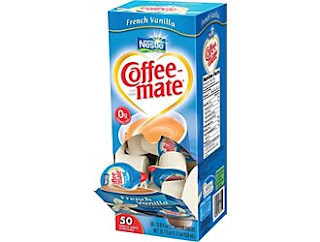 To get this freebie, go to Staples and add the French Vanilla 50ct. Coffee-Mate creamers to your shopping cart and checkout. Then, you will need to enter coupon code: 69486. When you continue on with your checkout process you will be able to select to pick them up at your local Staples. This makes them completely free! You will have to enter your credit card number for this freebie. PS. Watch for my first review and giveaway coming soon!! !